In a move that shows how social media is steadily infiltrating every aspect of our lives, Swedish gift card distributor Wrapp recently announced plans to enable retailers to offer different price points on gift cards based on demographic information collected from Facebook profiles. Clickz.com reported on how the company is planning to leverage social media. Wrapp’s gift card distribution system is designed to help retailers increase in-store traffic, yet can also be used for e-commerce. The company’s new social media-targeted strategy will pull personal information straight from Facebook users’ profiles and then funnel these facts into direct consumer communications encouraging the purchase of gift cards for occasions relevant to that individual. 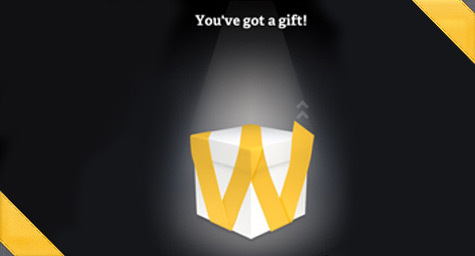 For example, since Wrapp will have access to the Facebook user’s list of friends and their respective personal information, a message may be sent to the user promoting the purchase of a gift card from participating retailers for a friend’s upcoming birthday. Once the gift card is digitally received, it will be posted on the friend’s Facebook news feed and other friends will have the ability to contribute money to the gift card. Then, the gift card can be redeemed by downloading Wrapp’s mobile app onto an iPhone or Android smartphone. Originally launched in Sweden almost six months ago, the app already has approximately 165,000 users and 1.4 million gift cards have been distributed throughout the country. In addition, the average gift card order has surpassed the gift cards’ original value by four to six times, which reveals the popularity of the card’s social media- oriented contribution platform. Wrapp recently debuted the app in Norway and the U.K., with plans for upcoming launches in Japan, France, and Germany. To learn more about the latest ways to use Facebook and other social media platforms to capture your audience’s attention, contact MDG Advertising today at 561-338-7797, or visit mdgadvertising.com.